Villa Azur in Miami offers a unique dining experience that combines elegance, fine dining, and a beautiful atmosphere. This restaurant prides itself on offering a gourmet menu that can be paired with the best wines or a well-mixed cocktail. The unique spin of this restaurant includes the combination of French cuisine with an Italian twist. Even the decor is a very harmonious mix of the antique and contemporary. Anyone interested in a fine dining experience that has something different to offer would do well to consider Villa Azur in South Beach. Reservations for Villa Azur can be made online through OpenTable or by calling the restaurant directly at (305) 763-8688. The menu at Villa Azur is a unique blend of French Mediterranean cuisine. Menu offerings include a full-service main menu, a desserts menu as well as a separate cocktails menu. · Main Menu - Seafood and caviar, Italian dishes, fish and meat entrees, an assortment of appetizers, and much more. 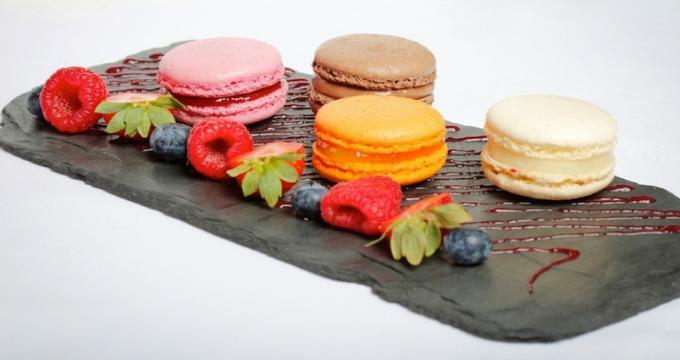 · Desserts - A variety of desserts are offered such as lime tart and basil, Nutella mousse, macaroon assortment, and more. · Cocktails - Patrons can choose from a number of specially mixed cocktails such as the Villa Azur, lychee martini, and blueberry mule. Villa Azur offers a number of sophisticated elegant events throughout the year. Keep abreast of these events by visiting the restaurant’s event page. Villa Azur can bring fine dining to any special event with its catering services. Villa Azur will work directly with the customer to create a menu that is tailored for their specific wants and needs. Villa Azur also provides rented plate ware and utensils as well as wine and champagne from La Cave D'Azur Fine Wine Cellar upon request. The cost of catering services varies based on the size of the party, the menu items, and the type of catering service provided. For more information on catering services provided by Villa Azur, contact the restaurant directly at 305-538-2118. Villa Azur is the perfect place to hold a private event. Those interested in hosting a private event at Villa Azur can choose from two settings. The main dining room can accommodate 120 seat guests or 240 standing guests and has 2,242 square feet of space. The courtyard can accommodate 110 seated guests or 200 standing guests. Courtyard dining provides 4,027 square feet of space. Villa Azur can assist with the selection of a menu that suits the guests for a private party, and there are also special packages for beverages and hors d'oeuvres. For more information on planning a private event at Villa Azur, contact the restaurant directly at 305-763-8688 or via email at info@villaazurmiami.com. Villa Azur offers several types of gifts that showcase its dedication to luxury and fine cuisine. Gift certificates are available for purchase from $50 to $800. Gift certificates can be ordered by contacting the restaurant directly at (305) 763-8688. Gift certificates can also be purchased online. Once purchased, gift certificates can be picked up at the restaurant in person. These luxury gift baskets feature a wine of choice and other delectable treats such as French macaroons.